The venue for the Caps United/Ngezi Platinum game is still yet to be confirmed. Our understanding is, the Ngezi Officials have informed the ZPSL that their stadium is ready. They are now waiting on the ZPSL/ZIFA inspection team to inspect the stadium tomorrow. If it is okayed, the match will go ahead in Ngezi. Please keep an eye on this platform tomorrow for final confirmation. The game has been slotted to start at 15:00 hrs on Saturday. 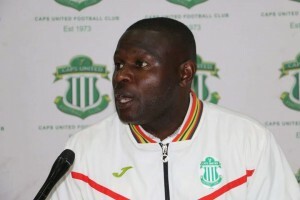 Meanwhile, The Green Machine took it’s training session this morning and we understand that the session went well and all the players have a clean bill of health, giving the Head Coach and his technical team a desirable headache of deciding who to pick this coming weekend. The Caps United Technical Press Conference will go ahead as scheduled tomorrow the 7th of April at the Club Offices. The Panel will be headed by our Head Coach Mr Chitembwe as usual and it will start at exactly 12:00 hrs.